Al-Qaeda and foreign intelligence agencies are behind the popular uprising in Libya, the troubled country’s Foreign Minister Moussa Koussa told RT in an exclusive interview. RT: Minister, let us start with the rumors about the initiative or talks between Muammar Gaddafi and the other side. Are they true? MK: I don’t believe in those rumors. RT: Since the beginning of the riots, Colonel Gaddafi has been talking about the possibility of dialogue with the protestors. What did those proposals result in, and what can this dialogue be possibly based on? MK: Such a dialogue could take place on the level of a public gathering. However, rumors of pursuing dialogue “with the other side” are groundless, as there simply is no other side. 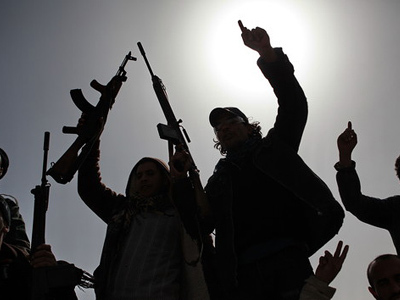 There are armed gangs getting instructions from Al-Qaeda. It’s a well-known fact. Those people have been trained in Guantanamo and in Iraq. Western intelligence agencies are behind all these events. The fact that one Derna resident was in Guantanamo, spent some time in jail there but was released and then came back to Libya is self-explanatory. That was probably a big mistake. Those who are rioting in the streets and involved in arson have served terms in prison. RT: Unfortunately, many say that Libya will be confronted with civil war. What do you think? MK: Everything is possible if Al-Qaeda continues carrying out their subversive activities. 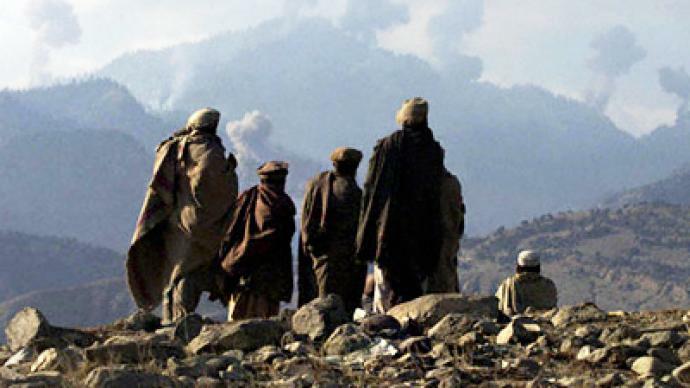 Al-Qaeda people have already shown what they are capable of in Afghanistan, Iraq and other regions. If they continue those actions – but we hope for the opposite, of course, and are doing our best to put an end to it – then the chaos will most likely grow intense. The situation will be the same as it is in Somalia. RT: How would you describe the situation in those cities which are regularly making headlines, like Benghazi and Sert, where skirmishes took place – in the regions rich in oil in the eastern part of Libya? MK: I can’t say anything about the state of martial law, I simply don’t know whether that’s the case or not. What I am sure about is that official organizations are in charge of oil fields’ security. That’s their main task. 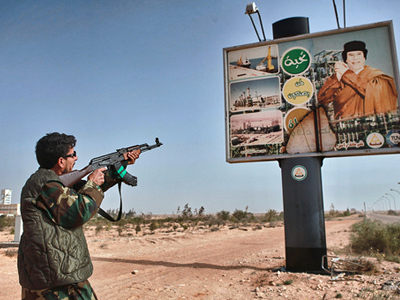 It’s the source of Libya’s riches, and Libyans will protect them. 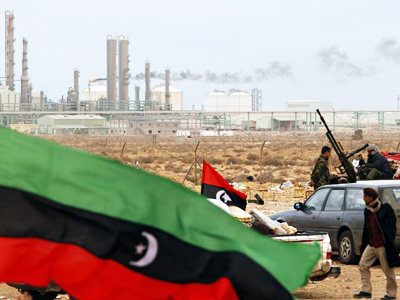 We can say that Libyans simply must protect their oil, as it is essential for them. RT: Currently, a possible adoption of a UN resolution on an air blockade of Libya is being discussed. Do you think the UN Security Council will approve this step, supported by the US; or will Russia, which is against foreign intervention into Libyan affairs, impose a veto on it? MK: At the very beginning, the UN Security Council made a mistake, though Libya is partially responsible for that, as the Libyan representative voted against Libya. That’s the first point. Something went wrong at the meeting from the very beginning. If it was not for this voting, and the mistake of our representative, then no such decision would probably have been made. And it’s understandable: it’s somewhat strange when your own representative votes against you. On the other hand, the international community was misled by the information coming from Libya. The international community did not know what was really happening. We called everybody to get back to reality. We invited them to come to Libya and see for themselves, promising to give them every opportunity to do so. They could visit every place they wanted. That’s when they should have made their decision. RT: They have not sent their representative yet, have they? MK: Not yet. We – and I personally – talked to the secretary-general, sent letters to the UN Security Council inviting everyone to come and see what’s happening. RT: What about the UN’s special representative, the former Jordanian Foreign Minister Abdullah al-Khatyb? MK: He hasn’t arrived yet. RT: What do you expect when he does arrive? MK: I don’t know. The secretary-general told me that he would appoint his representative to monitor the situation in Libya. And I said we welcome that, we will give him an opportunity to see everything he wants, will answer all his questions, no problem. RT: Why is there so much talk about mercenaries? MK: I mentioned it yesterday in an interview. It’s probable that Europeans do not have the correct picture of the Libyan society and its structure. They see a dark-skinned man and say he’s a mercenary. But not all our citizens look like Europeans. There are Chinese policemen, and there are people from Chad and other countries. RT: Your representative to the UN is dark-skinned. MK: Yes, right. Abu-Bakr Yunis, Chief of the Military Staff is black, Abdel Rahman is black too. That’s it. RT: Do you mean to say that skin color was the only reason for rumors about mercenaries? MK: Here, when an enemy wants to mislead you and make you weak, the enemy resorts to such tactics. For example, you see a dark-skinned man and he’s from Chad; but the President of Chad personally claimed that there are no Chad citizens in Libya. Where are those accusations coming from? I read that a minister in Kenya – I don’t know his name – said that 5,000 trained soldiers left for Libya as mercenaries. Have those 5,000 arrived in Libya during the week? Even the US is incapable of such a transfer from Kenya to Tripoli in such a short time. RT: What if, all of a sudden, some of the states recognized the government formed in Benghazi or “the front”, as you call it. What would it lead to? MK: It’s clear that it’s a well-prepared plot. The proof is that this group has gone to action with great powers and is supported by them. First of all by Britain, which is attracted by the oil reserves. The UK has paid several visits, held negotiations, and offered help. The same situation is with France and the US. Great powers compete for the right to own oil, bauxite and gold resources. And this rivalry is going on. RT: Relations between Tripoli and the US have been good in recent years, especially last year. The popular opinion was that the US and Europe was happy with Libya’s role in North Africa and on the continent. Libya was called a “gateway” for European-African co-operation. Why the sudden change in the position of the US and the Western world? Do they want to divide Libya into parts? MK: As we know, the West has its own interests. That is the reality of it. Africa was a priority in Libyan foreign policy. We maintain relations and we have certain plans. But the west never forgets about the ideological side of things. That’s the reality of it. People visit our country – Italians, for instance – they are after their own goals. They have asked us to deposit funds in Italian bank accounts when the euro was in trouble. They all have their own interests. RT: Which African countries are evidently on Libya’s side at the moment? MK: There are many. I like the position of the chairman of the African Union, which he will explain at the upcoming Peace and Security Council in Addis Ababa. RT: What do you think of the Arab countries’ stance? MK: Regretfully, the Arabic states have a negative position. MK: Gulf States, for instance Kuwait, have made negative statements. That was all we heard. RT: What do you expect from Russia? MK: Russia is a friend to us. Relations between our countries, between Mr. Putin and our leader, are good. Russia is the former Soviet Union. Our generation remembers the USSR and its position in the world. Ask any Libyan in the street and he will tell you that Russia is with us. Russia is a friend. We know about the difficulties your country is going through, but still, Russia’s role in the resolution of this problem will be very important. The same applies to China and India. They are countries with positions of their own. We hope they show resilience and help Libya solve the problem that it is facing today. RT: Will you ask Russia to use its right of veto in the Security Council in the event of a vote on closing Libya’s air space? MK: We would like Russia to use its right of veto, as the Soviet Union did. That is our wish. MK: It would be a big step forward that would benefit the whole world, not just Libya. RT: Are you expecting any joint initiatives from the Arab states in Africa? What could those initiatives be? MK: We are open to any initiatives corresponding to the current situation. We would only welcome them. RT: You seem to be confident that the rebels and traitors, as the media calls them, will be defeated – even if it takes time. Is it possible to address the situation by non-military means, using peaceful, social means or via negotiations? MK: We are attempting to do that. There are the so-called people’s committees and there are tribal leaders. We are making an effort to address the situation through them and we hope our efforts succeed. RT: How do you explain the schism in Libya’s diplomatic corps? Quite a few ambassadors have resigned. MK: Yes but there are not as many of them as it may seem. Many diplomats remained in their offices. What happened was the result of an outside provocation. I recently discussed this question with a friend of mine who has cancer. 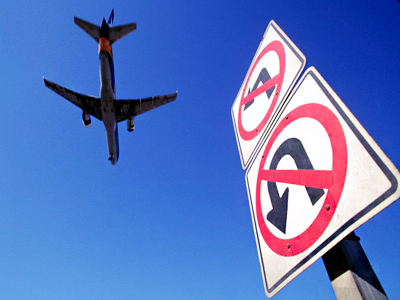 He had to fly to Paris, because he was working there, to undergo an examination. As soon as he arrived at Charles de Gaulle Airport he was approached by Secret Service operatives, who told him he would only be allowed into the city if he condemns and renounces the Libyan regime in a public statement. He was detained at the airport for five hours with people telling him what he had to do to get to Paris! This was an action of the state! It was official France telling him to say what they wanted, or be banned from entering the city. RT: Did this man occupy an important position? MK: He was a high-level official at the Libyan Embassy in Paris. What can we say after having been treated that way? It was all part of a campaign to put pressure on embassies. The campaign involved student communities and NGOs. An embassy can hardly work when there is a crowd of 500 people standing outside. Some people were weak so they left. Some showed strength and stayed. RT: Can we expect Colonel Gaddafi to start reforms, considering that recent events highlighted the shortcomings of the current political system? MK: We were planning reforms before the uprising. We were thinking about constitutional amendments: freedom of the press, a civil society. All of these things were to be discussed at the General People’s Congress. Recent events have completely disrupted our plans. But we are still working on these initiatives. Our lawyers and the others involved in the process are hard at work. RT: What is stopping you from announcing these reforms today? It might help relieve pressure in the country. MK: The Justice Minister will make some of our decisions public today. They are laws on the creation of courts, the trials of criminals and different aspects of public security. I think those will be announced tonight and we will start implementing these measures next week. RT: Last question, minister. Should we expect the authority of Colonel Gaddafi’s sons to be limited? Even those who support the regime are saying they have too much authority; and what especially upsets them is that this authority is unofficial. MK: There is no need to restrict anyone’s authority except for that of Mr. Saif al-Islam, even the limits of his authority, after a number of meetings and the conference in Sabkha. He is not after any big official positions. RT: Minister, thank you for talking to RT. We hope the Libyan crisis ends soon. MK: Thank you for listening. We hope the interview was useful. We are in need of just coverage of the current events. Our own media is weak. They lack resources. We have fallen victim to satellite channels. 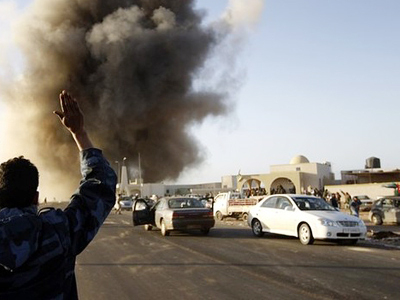 It was Al-Jazeera that first sparked off the uprising in Libya.